In the land of sample sales and online shopping, buying the perfect wedding dress (or something that closely resembles one) is easier than ever. The tricky part now, it seems, is finding someone who can properly alter the dang thing — slinky silks aren’t so forgiving after all. Luckily, there’s Nayantara Banerjee, a.k.a. the Williamsburg Seamster, a modern-day tailor who is cool enough to get what look you’re going for yet skilled enough to not mess it up. 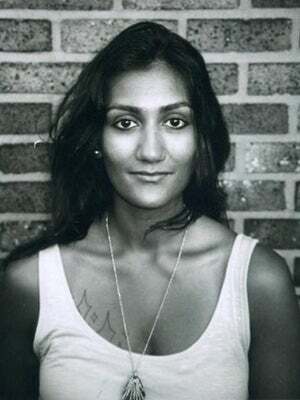 Because Banerjee works out of her Greenpoint studio (she travels to non-bridal clients), she strictly operates by word of mouth and has an impressive list of glowing reviews on Yelp to back it up. We met up with her recently (and tested her magic) to find out more about altering a gown for the perfect fit. Who is your typical bridal client? What type of alterations do most brides come to you for? How far in advance do you book out for weddings? What's your number-one tailoring tip when it comes to the wedding dresses?